HOT DEALS: Amazon's 12 Days of Christmas sale | What Hi-Fi? There's a healthy £130 off LG's 22LU4010 22in HD-ready LCD TV, now just £219.94, and £23 off Toshiba's Regza 42XV635DB 42in Full HD TV at £626.99. Or you can have a Toshiba Regza 37RV635D for £438.90. Need a Blu-ray player to go with your telly? 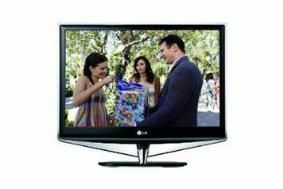 Then how about the LG BD360 model with YouTube for £119.99, a saving of £20. Or if you're on the hunt for a budget DVD player, you can get a Philips DVP3380/05 full-size model for just £54.99, or Sony's 8in portable DVPFX875 with a free copy of Bolt on DVD for £139.99, saving you a handy £53.65. And to control all your electronics, Logitech's Harmony 555 universal remote control is now just £48.41. You can read our full review of the Harmony 555 here. iPod/iPhone owners can buy a Logitech S125i rechargeable speaker dock for £29.99, saving themselves £40. And if you need a new pair of in-ear headphones, Klipsch's Image X1s are on offer at £19.99, a saving of £20.